I got a rude awakening last week. I had taken just maybe my most comprehensive blood test ever. Disturbingly, my A1C was 5.9, although my fasting glucose was 96. I’ve known for two years I’m pre-diabetic, but 5.9 is a new threshold for me. Not long ago, through careful eating and nearly daily elliptical machine stints, I had whittled it down to 5.4, though I admit my previous scores have nearly always been from finger sticks rather than lab tests, which my endocrinologist says are more accurate. Anyway, I’m scratching my head, asking myself, What’s going on? Why should I be even pre-diabetic? Hey, I’m slender at 175 on a 6’1 frame. I’ve been a vegetarian for 18 years; in fact, nearly vegan. I’ve been careful to avoid foods with high sugar content–pastries, cakes, candies, etc. My nemesis, I think, has been indulging in starchy foods, especially In restaurants, compounded by their normally large portions. I used to have trigs in the 150 range. Giving up potatoes, I find my trigs have stayed below 100. Potatoes, like other starchy foods, are a high GI food, meaning they turn into glucose quickly. At home, I still indulge in other starches–pasta, rice, and bread–though I always follow the formula for whole wheat sources only and brown rice. My thinking is that if I can eliminate the grains, I can reduce the glucose. But I also know l like these foods so much that I haven’t watched my portions. It would be easier in all of this if if had the usual excess weight problem. Eighty percent of diabetics do, and when they shed the pounds, the blood results can be impressive. Skinny diabetics have twice the mortality rate of heavy diabetics. No one really knows why. The problem with such diets is that confining yourself to greens and beans gets old really fast. Before closing, I want to mention a recent book on diabetes by endocrinologist Sarfraz Zaidi, called Reverse Your Diabetes. It recommends a five step approach, which includes overcoming stress and using key supplements in addition to the traditional lifestyle changes through diet, exercise, and medication as needed. His section on supplements is the best I’ve come upon in books dealing with diabetes, with extensive reviews, backed with research findings. Zaidi focuses on reducing insulin resistance foremost in managing diabetes and argues some supplements can help. I found his take on vitamin D especially good in keeping with his wisdom throughout the book. He points out how the effects of vitamin D are “astounding,” extending to all the organs. Low vitamin D contributes to insulin resistance. 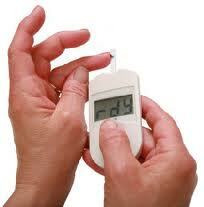 Nearly all Type 1 and Type 2 diabetics show vitamin D deficiency. In a landmark Finnish study (2001), later published in the prestigious medical journal, Lancet, children receiving 2000 IU of vitamin D in their first year were then tracked for 31-years for the development of Type 1. These children showed an 80% reduction in risk for developing Type 1 compared to other children not given vitamin D supplements. As for Type 2, while being sedentary, obese and over 65 contributes substantially to developing diabetes, all of these factors contribute to vitamin D deficiency as well. This doesn’t mean that overcoming vitamin D deficiency will right your diabetes, but it can help reduce insulin resistance and thus help you manage it better. Though not everyone may agree with Dr. Zaidi, I find his extensive review of the research on vitamin D compelling. This entry was posted in Health and tagged diabetes, GI index, glucose, grains, Nutrition, pre-diabetic, starches, unrefined foods. Bookmark the permalink.